Avail Vapor has over 100 brick and mortar locations and a full online retail operation. They needed a platform to support high traffic as well as custom features like in-store pickup, rewards programs, and more. 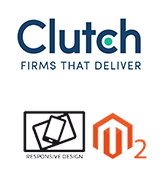 Meticulosity built a fully-custom Magento 2 website with a fresh new design and feature-rich backend to meet their current and future needs.